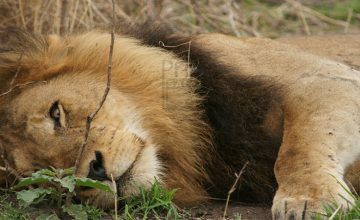 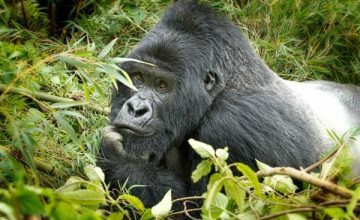 Among the animals that have been registered to have an influence on the life gorillas are Leopards. 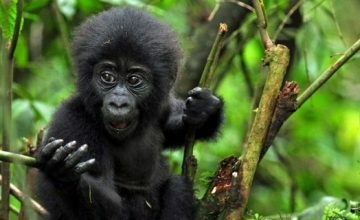 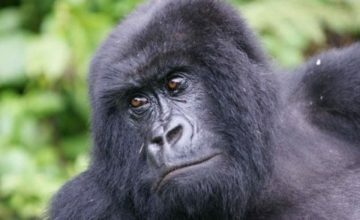 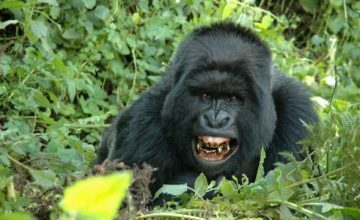 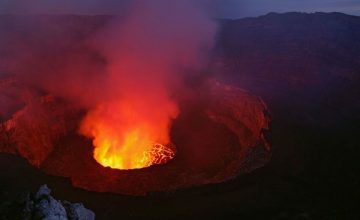 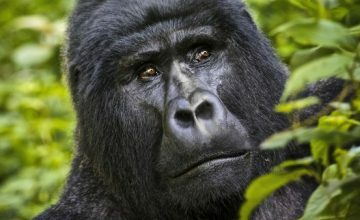 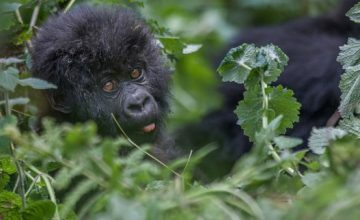 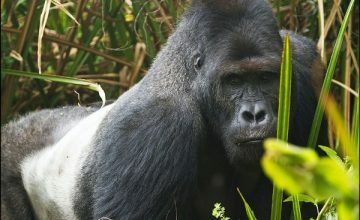 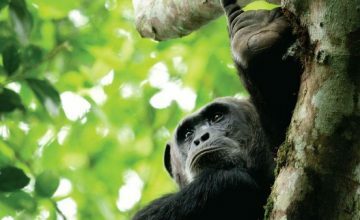 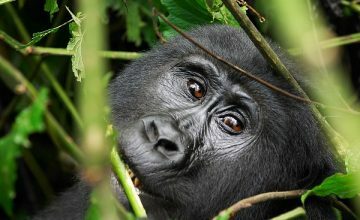 This predator has been recorded in Virunga Volcanoes to have an effect on the lives of gorillas. 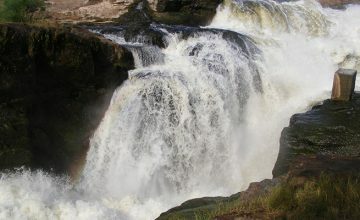 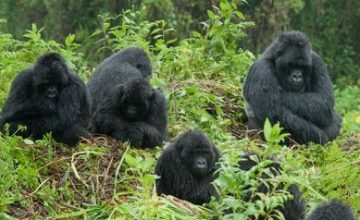 For example Walter Baumgärtel came across the remains of a range of gorillas that had lost their dear lives at the hands of dangerous leopards in the area. 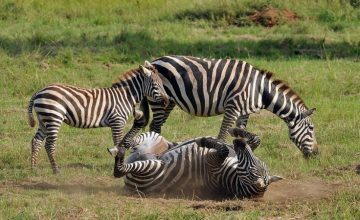 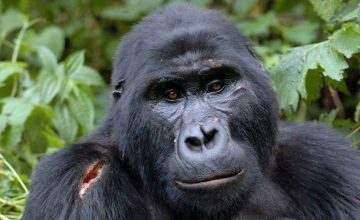 A similar case was recorded in Gabon where a leopard killed a sick young gorilla. 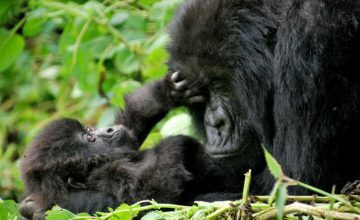 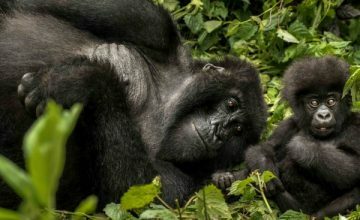 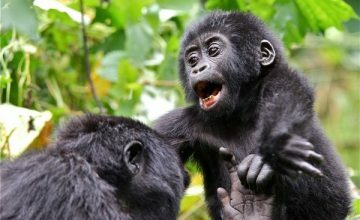 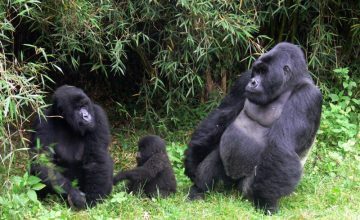 Upon being threatened, the behaviors of gorillas change and the family members behave differently. 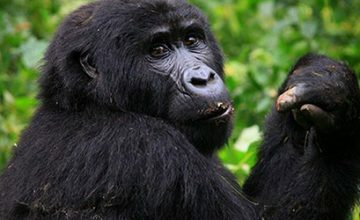 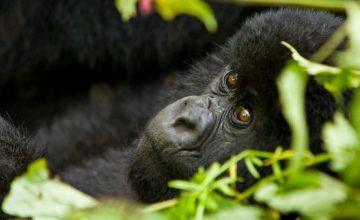 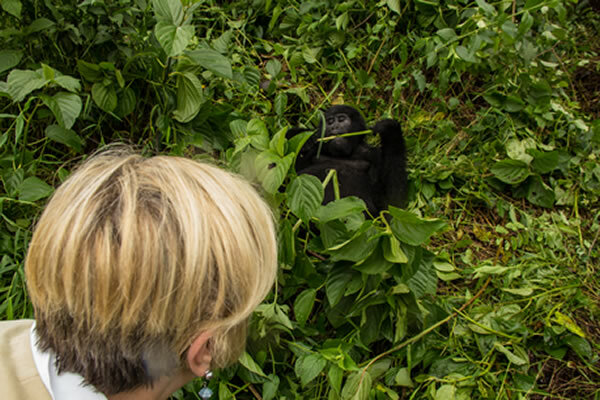 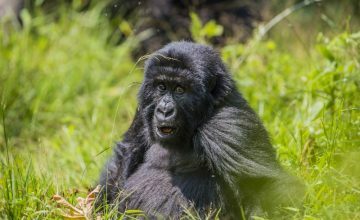 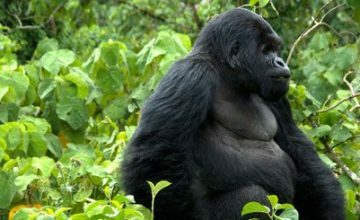 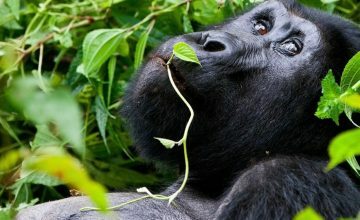 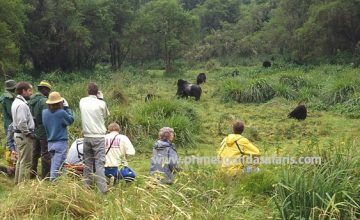 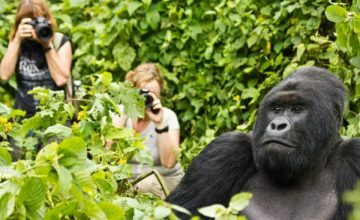 The Silverbacks – which are very amazing to encounter on gorilla safaris in Uganda and Rwanda release a concentrated smell with distinguishing sounds. 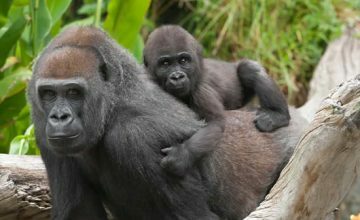 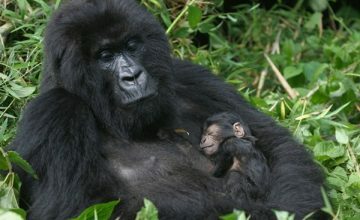 Other gorillas congregate in one place and share hugs or sometimes congregate around the silverback. 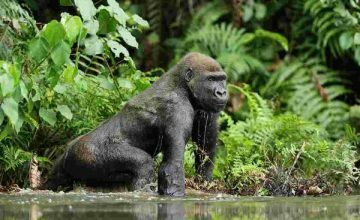 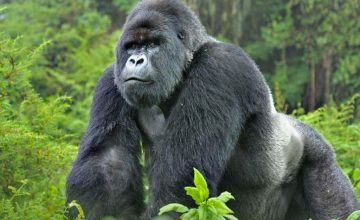 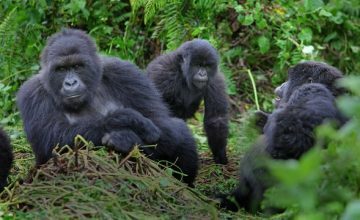 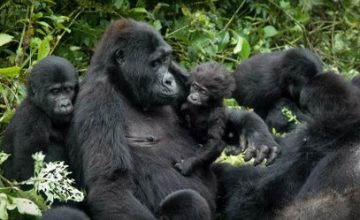 Since it the responsibility of the Silverback to defend and offer protection to the whole gorilla family, they normally stand in between the group and the attacker. 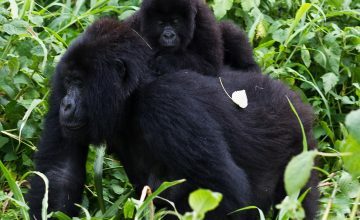 However, most of the times, the youthful male gorillas take on this task and they eventually take the group away or attack the enemy at the same time.